Champagne has been associated with celebration and luxury for hundreds of years. Over the centuries, the kings of France that were crowned in Reims Cathedral would celebrate with a glass of champagne. Over time, the sparkling fine wine was often used as gifts for royalty. 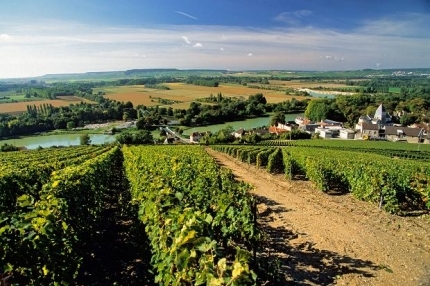 Champagne is a largely agricultural region celebrated around the world for the sparkling wines that have been produced here since the days of Dom Pérignon. According to French law, only bubbly from the region – grown in designated areas, then aged and bottled according to the strictest standards – can be labelled as Champagne. The Champagne Route winds its way through the region’s diverse vineyards, taking visitors from one picturesque – and prosperous – wine-growing village to the next. A number of name-brand vineyards have achieved international renown, but much of the region’s fine wines are made by almost 5000 small-scale wine producers, many of whose family-run facilities welcome visitors. If you have never been to Champagne before, we'd highly recommend it - especially if you're coming to Paris as it can be a great little trip. If this is your first time to Champagne, you'll want to visit a few of the famous wine houses...you can sample the finest champagnes in the world. Expect to be dazzled! After all, you're in one of the most famous wine regions of France.